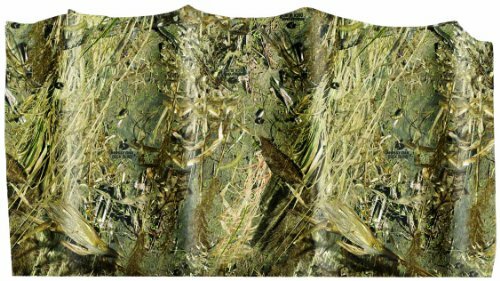 The die-cut leafy pattern of Allen's Camo Omnitex in Realtree MAX-4 camo imitates your natural surroundings to help you stay hidden in your waterfowl blind. The weather resistant polypropylene material stands up to mother nature so you can leave your blind up all season. The Realtree MAX-4 wetlands camo pattern is perfect for waterfowl season because ducks simply ignore it. The open terrain pattern features a variety of plant life to help you blend in and remain unseen.